The Romans were aware that lead could cause serious health problems, even madness and death. However, they were so fond of its diverse uses that they minimized the hazards it posed. What they did not realize was that their everyday low-level exposure to the metal rendered them vulnerable to chronic lead poisoning, even while it spared them the full horrors of acute lead poisoning. Roman engineers in the end brought down the Roman Empire when they replaced their stone aqueducts with lead pipes for the transport and supply of drinking water, thus turning much of the Roman population into neurological cripples. This is a devastating example of how people can be so very wrong in their assumptions and actions and how it can lead to such massive hurt, destruction and disease. Today instead of Roman engineers using lead we have vaccine manufacturers using thimerosal, dentists pouring the mercury into peoples’ mouths, and industry dumping pollution into the environment in obscene quantities. We have health officials putting fluoride in the drinking water, which increases the uptake of lead, which is still present in modern plumbing fixtures, all together creating a devils triangle of toxicity with mercury throwing the knockout punch. Today humanity is exposed to the highest levels in recorded history of lead, mercury, arsenic, aluminum, copper, tin, antimony, bromine, bismuth and vanadium. Levels are up to several thousand times higher than in primitive man. Powdered milk contaminated with arsenic in 1955, for example, led to more than 12,000 cases of poisoning and 131 deaths in Japan. Among survivors, there was a tenfold increase in the proportion who were mentally retarded. Today, unbelievably and against all good reason, arsenic is fed to chickens to speed along their development so we are continually being poisoned by arsenic and by people out to make a lot of money. So yes our job, if we accept the responsibility of helping people with their health is to detoxify and chelate them while you totally re-mineralize their bodies with magnesium and other much needed minerals. There is nothing more urgent in the field of medicine then us getting a real handle on the best ways to eliminate heavy metals and other toxic poisons from the body. The most obvious way of course is to reduce exposure. When it comes to pesticides, for instance, the easiest way to do that is to consume organic foods. 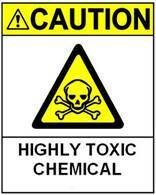 Chemical toxicity and poisoning is a problem that is easy for people to downplay because it takes so long to develop. However, researchers all over the globe are posting information about the chemical hazard that sits like a background radiation cloud across our once pristine planet. Chemical radioactivity is an appropriate phrase to describe what the situation is with mercury and other chemicals that are causing disease rates to sore through the stratosphere. The World Health Organization “WHO”, in their 1974 Report on Toxic Metals states that 82 % of chronic degenerative disease is caused by toxic metal poisoning. This is further substantiated by over 5,000 pages of US government funded toxicological reports found at the *ATSDR website. 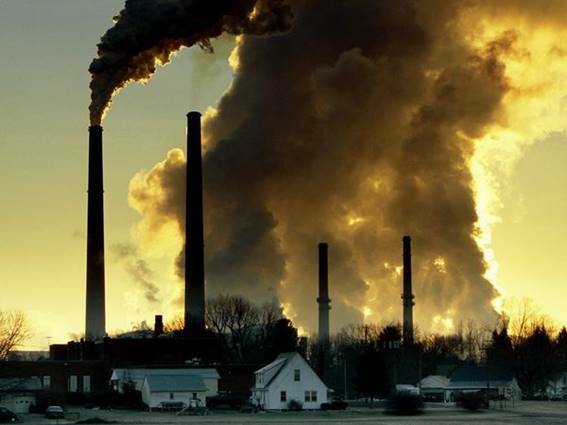 Everyone in modern western societies is exposed to toxic metals – lead, mercury arsenic antimony, nickel, cadmium, etc. According to the World Wildlife Fund in 1929 the world was producing 1 million tons of chemicals and pharmaceuticals a year. Today that number has climbed to 400 million tons. That means that we pollute the earth at a rate that until only recently took decades to accomplish. Easily in one year we now do the damage it took from 1930 to 1960 to effect. In the next ten years we will collectively produce 4 billion tons of chemicals, which in one way or another eventually end up as toxic pollutants in the environment that will end up in our blood streams. According to the Physicians for Social Responsibility (PSR) about 100 million Americans, more than one-third of the population, suffer from some form of chronic disease like asthma, diabetes, cancer, heart and kidney disease or arthritis. Cancer is the second leading cause of death, exceeded only by heart disease. Among children ages 1 to 14, cancer is now the leading cause of death by disease. At current rates, invasive cancer will be diagnosed in half of all men and in one in three women in their lifetime. “Whether it is cancer or autism that is affecting our families and showing up in our examination rooms, the growing rates of chronic disease compel us to search for clues and answers to determine the true causes of these increasingly prevalent illnesses,” says the PSR. This is really a meaningless symbol for it is routinely ignored by government, industry, the military and professionals alike. The skull and crossbones arrive in every dental office and mark the mercury that dentists meld into dental amalgam yet for 150 years dentists have thrown caution to the wind and put a highly toxic heavy metal into hundreds of millions of mouths, legal toxic waste dumps placed inches from the brain. Thimerosal, a deadly chemical compound, which is 50% ethyl-mercury, is actually injected into children and newborn babies around the world and again we find doctors, nurses, and governments in total denial that this is a big mistake that pediatricians are in love with making. Reducing the amount of toxins we are faced with every day is one of the most important things we can do for our health. A buildup of toxins in our body can cause many health concerns including cancer. Our bodies need to eliminate toxins to stay healthy; if the body is overloaded with internal chemicals or is not healthy enough to function properly to detoxify the chemicals within the body, they will eventually build up and cause the onset of disease and ill health. This denial reaches into every corner of our lives with all concerns of the dangers to us and our children ignored. Just about everyone denies the dangers of cell phones and cell mast towers. Why is modern medicine going nowhere in its attempts to treat cancer and stop devastating increases in other chronic diseases like diabetes or autism? 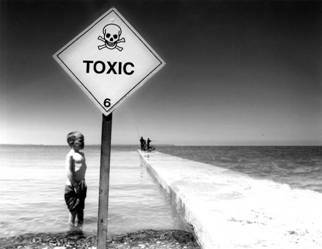 There are hundreds of millions of tons of poisons dumped into the environment each and every year. In 1989 alone, EPA estimates, in its Toxic Release Inventory National Report, that 1.9 billion pounds of chemical were dumped into our nation’s water systems. In that same year, 2.4 billion pounds of chemicals were released into the atmosphere; with the total chemical attack on the environment estimated at 5.7 billion pounds. This is only in one year. According to a recent report by the National Research Council, 70,000 of the chemicals in commercial use today have not even been tested for neurotoxic effects. if they are exposed to fluoridated water during their 6th to 8th years. It is clear that certain groups of corporations with government support have deliberately created a toxic hell on our planet. It is a special kind of hell that gets chemically and radioactively more toxic each year with the damage and danger expanding to hurt, debilitate, torture, and even kill people in uncountable numbers. Governments around the world are not interested in the truth of the heavy metal, chemical and radioactive toxicity that is sweeping the globe like an endless hurricane. They prefer to lie about global warming using that as an excuse to cut the use of coal. Unfortunately, that will not work, lies never hold up, so it is better to slowly begin to address the insane track humanity and its civilization is on before all life gets snubbed out due to toxicity. EPA Journal – May 1985. Lewis, Jack. Dr. Joeseph Mercola says to eat as much as possible, organic produce and free-range, organic foods. Avoid processed foods — remember that they’re processed with chemicals. Only use natural cleaning products in your home. Switch over to natural brands of toiletries, including shampoo, toothpaste, antiperspirants and cosmetics. Remove any metal fillings as they’re a major source of mercury. Be sure to have this done by a qualified biological dentist. Avoid using artificial air fresheners, dryer sheets, fabric softeners or other synthetic fragrances as they can pollute the air you are breathing. Avoid artificial food additives of all kind, including artificial sweeteners and MSG. Get plenty of safe sun exposure to boost your vitamin D levels and your immune system (you’ll be better able to fight disease). Have your tap water tested and, if contaminants are found, install an appropriate water filter on all your faucets (even those in your shower or bath).